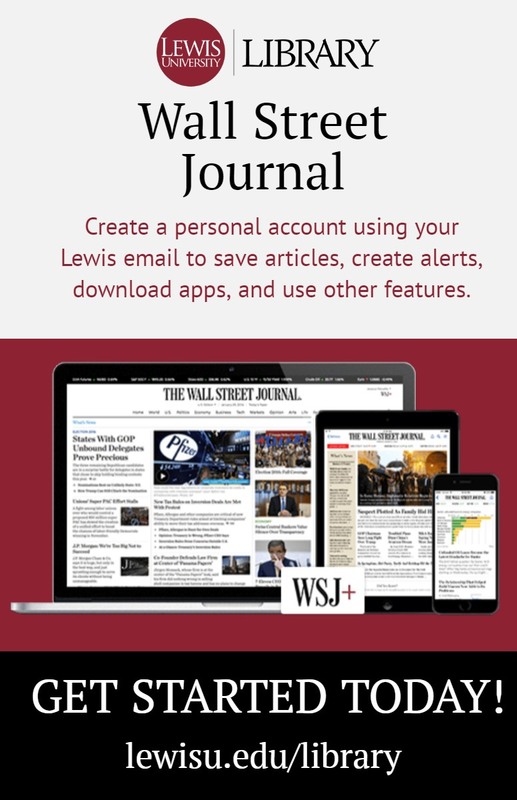 How do I access the wall street journal from lewisu.edu/library? I keep trying to search for us but the most recent releases do not come up. You would go to the A-Z Databases link on the library’s homepage, and then either search for the Wall Street Journal or click on the letter W. Click on the Wall Street Journal link, and it will walk you through setting up your free subscription.